Greece has experienced painful years. 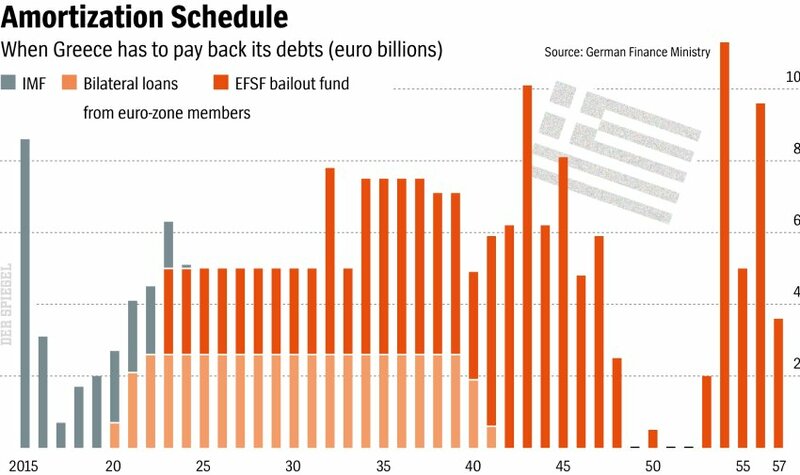 The crisis has basically turned around Greek society during the past seven years. With the early Greek elections on 25 January 2015, the “radical” left-wing party Syriza triumphed with 36.3% while the established parties had to face huge losses. Greeks have enough of austerity policies; they want to regain some hope – and particularly change. Yesterday, on 20 February 2015, after three weeks of tactical games from the Greek side, an agreement has been reached between the Greece and the other 18 members of the Eurozone. It will allow the country to get four more months of rescue and avoid a financial crash in March 2015. Until Monday, Greece still need to inform their partners what kind of policy reforms will be implemented to convince the rest of the Eurozone to pass the agreement in each member state. 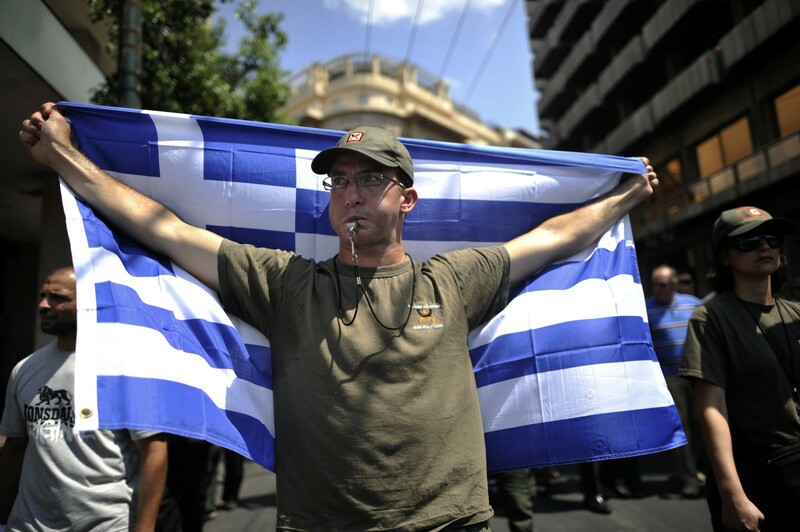 The agreement is confirming what is clear for every reasonable observer: Greece will not leave the Eurozone – nor will Germany be kicked out of the Eurozone as a recent polemic article in Foreign Policy suggested. Although there are rumors that the European Central Bank is testing models what would happen if Greece is leaving the Euro – but the cost-benefit analysis is clear: it is against the best interest of Greece to go back to the drachma, their old currency. The only argument in favor of leaving the Euro would be the devaluation that would allow to export Greek goods for a cheaper price and offer Greek tourist destinations for a cheaper price (and compete with Turkish resorts again). The most worrisome point about leaving the Euro is that most likely, structural reforms, that have been promised since years but have not been fulfilled, will not get through. A “Grexit” most likely would lead to the crash of some companies (including the state-owned electricity utility company) as well as the likelihood of hyperinflation because neither Greeks themselves and even less so international investors would trust a new Drachma – causing even more damage and harm that would lead Greece to brink of a complete economic breakdown and the country would be insolvent. The little rest of trust of serious international investors would be gone for years. To begin with, it was a mistake that Greece joined the Euro and it should not have been allowed to do so, considering the economic state they were in at the time of 2001. However, “cheating” and the political will (particularly of France) triumphed economic considerations and now Greece as well as the Eurozone has to clean up the mess. The Eurozone and the EU institutions have often forgotten what solidarity means, particularly Germany. Although in official statements, the Germans do not fall short in reassuring their willingness to help the Greek people – but only under certain conditions, their conditions. The only way to help Greece out of the crisis is the German way. It has been €240 billion of support that the southern European country has received so far, and yet it was not the money necessary to achieve structural reforms and deal with corruption and capital flight abroad, not least to other European capitals like London or Berlin. The claim of many people, particularly in (northern) Europe, that the Greeks have not carried out reforms, it is certainly not true. As Paul Krugman reminds us in The New York Times, there have been cuts of social benefits and in the public service, including 20% wage cuts. These are very painful reforms that explains why the rest of Europe that tries to demonstrate solidarity with Greece is so unpopular. And yet, the reforms have not worked. In short, the economy has dwindled and therefore the Greek budget overall is shrinking. Moreover, the crisis and its unsuccessful management caused an unemployment rate of 28%, and among the youth about some 60%! 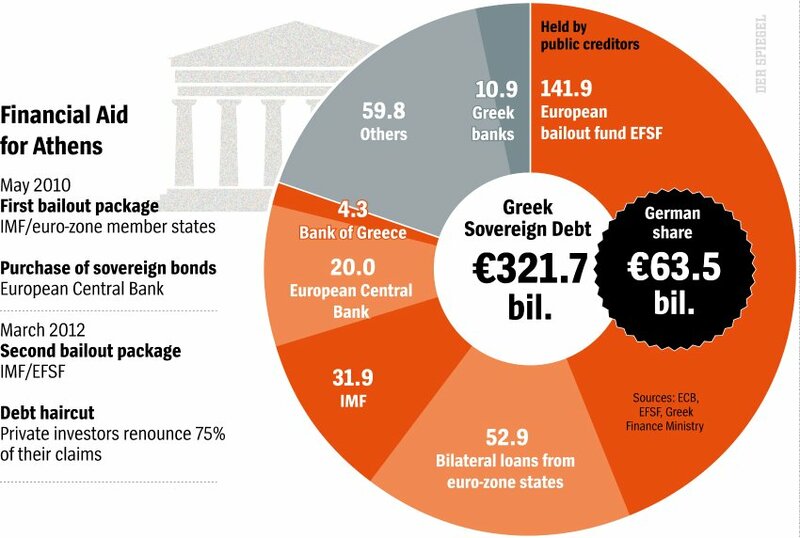 Surely, also the Commission as part of the Troika (together with IMF and the ECB) has played its part. It should be particularly the Commission that should stand up for the wider European interest. However, it seems to forget the social dimension within the Greek reforms. Now, that the Troika will not be called anymore like that, as it has such a negative connotation in Greece by now, but rather “the institutions” will not change much. It will be all about the policy change that will allow Greece to grow again. However, tax evasion and avoidance continues to be one of the most challenging aspects inside Greece. People are not willing to pay taxes, because they do not trust their own government and point their finger to others who do not pay taxes either. In short, there is no social contract inside Greek society. Nor is their solidarity among the people in the sense that only together they can leave the crisis. Rather, a large part of the people is looking for the own benefit in a very short-sighted manner. The new minister of combating corruption, Panagiotis Nikoloudis, seems to be serious about getting back billions of euros from Greeks that have brought their money abroad. However, he is not the first to promise to do that. Multiple prime ministers and finance minister have promised over the past seven years to go about it – without much success. Another possibility of reform is still the security sector. The defense budget was for a long time unreasonable high with 4% in comparison to an average of 2% in the rest of Europe before the crisis. 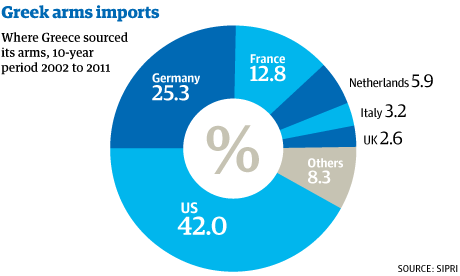 It is ironically Germany that delivered a lot of weapons, making Greece the biggest market of its arms export inside Europe. While the defense budget has been cut drastically during the past years, the Greek military is still rather proportionally strong and needs a lot of money because of a perceived threat of Turkey (thus still having the third highest defense budget per GDP inside NATO in 2013). Syriza has promised its voters a lot. Among the reforms are a drastic rise of the minimum wage up from €580 (and €490 for those below the age of 25) to €751. No more fees in public hospitals and for drugs. Pensioners should get a 13th pension in case it is less than €700/month and insured farmers should receive again €360/month. Also, they want to re-employ public workers, as some 10,000 state employees were fired by the old government in order to fulfill the Troika criteria. These promises do not sound unreasonable to me although it is doubtful that this will bring back growth to Greece. In the first place, Greece would need more tourists. As the country is heavily dependent on the tourist sector, it has suffered a lot during the last years because it has not been competitive enough with its prices. The government would need to establish public infrastructure projects so more employment is generated. Such projects would need to make economically sense though and allow for further economic growth. The European Commission’s “Investment Plan” should be key part of financial support. Any kind of reforms would need to be fair in a European context though because other countries have also implemented tough reforms like Ireland, and particularly the Baltic countries whereby it was Latvia that had to go through the toughest austerity measures and actually successfully implemented its programs (with a very tough times for many Latvians). It is hard to explain to those citizens why they had to suffer while their own governments should now help Greece. In the best interest of all players that are involved in the Greek crisis, a policy change is necessary. The election of Syriza is hopefully a wake-up call for Germany to change its policies and have a mix of structural reforms linked to growth incentives through the government as well and not continue to believe in the growth of the private sector which has failed during the past years to take off due to the lack of incentives. Previous Charlie Hebdo: Do not allow them to win! Next The evil is called TTIP: Emotional debates in Europe about free-trade agreement with the U.S.